As individuals and organisations increasingly look for ways to reduce their carbon footprints and bring their utility bills down, demand for water saving plumbing solutions is increasing. Our water conservation products serve to limit flow to applications in order to prevent any undue consumption. For example, a shower fitted with a flow limiting valve on its supply pipe uses significantly less water than a standard shower. 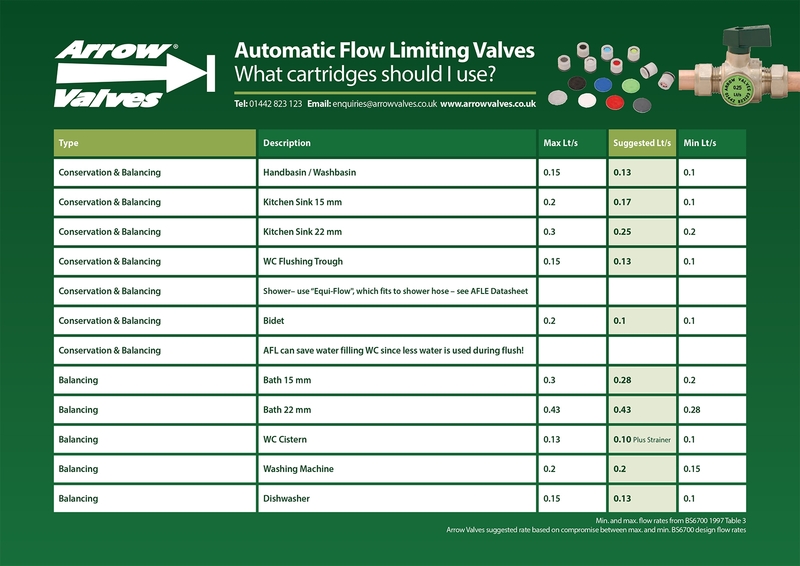 Our product range includes an impressive selection of automatic flow limiting (AFL) valves. AFL valve solutions can be used in hot and cold plumbing setups, and in clean chilled water systems for A/C fan coil units. As well as showers, they can feature in wash basins, baths, urinals, bidets, washing machines, toilets, dishwashers and a host of other applications. To check out our full range of flow limiter solutions, simply browse this section of our website. If you would like more information about our products or you’re not sure which solutions you need, simply get in touch with our expert staff members by email or by phone. We’re available to answer any of your questions and are committed to providing our customers with water conservation solutions that match all of their practical requirements.